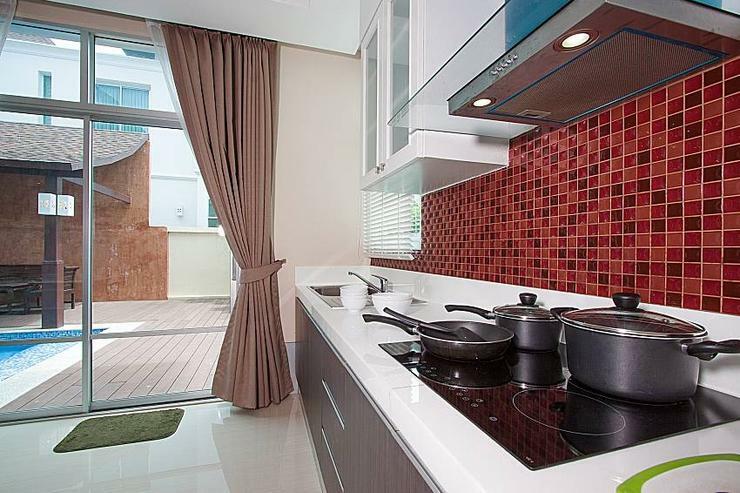 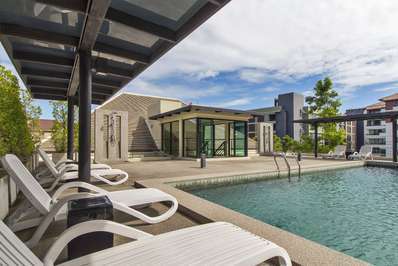 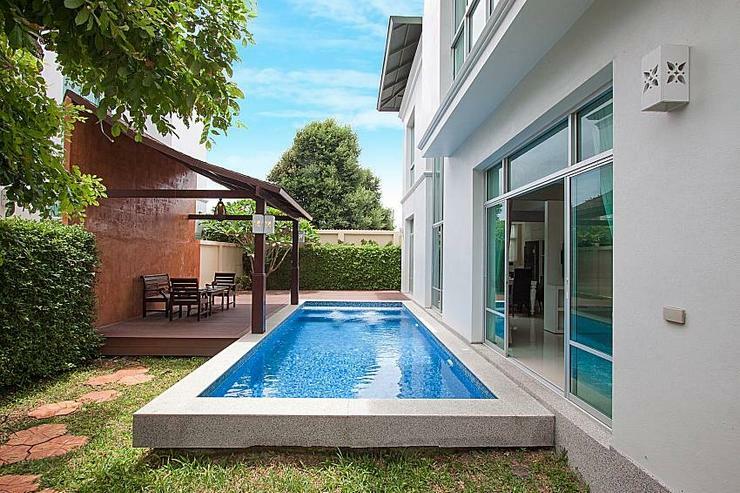 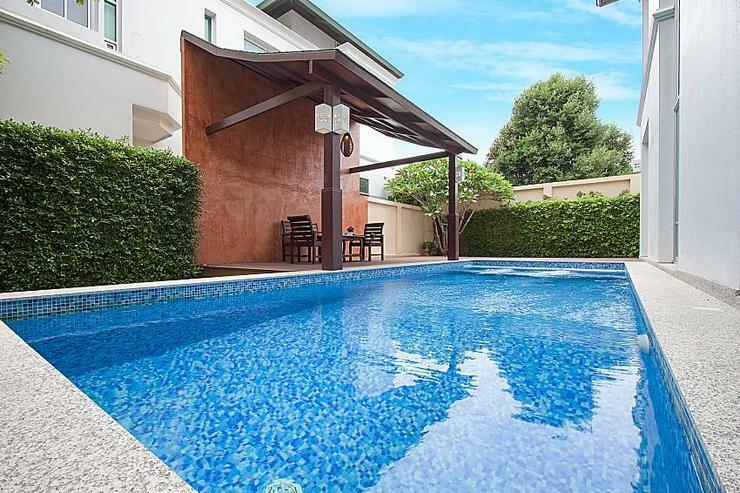 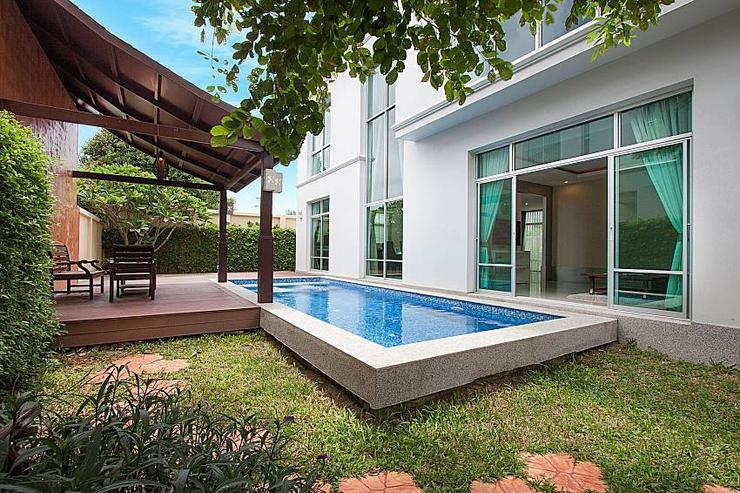 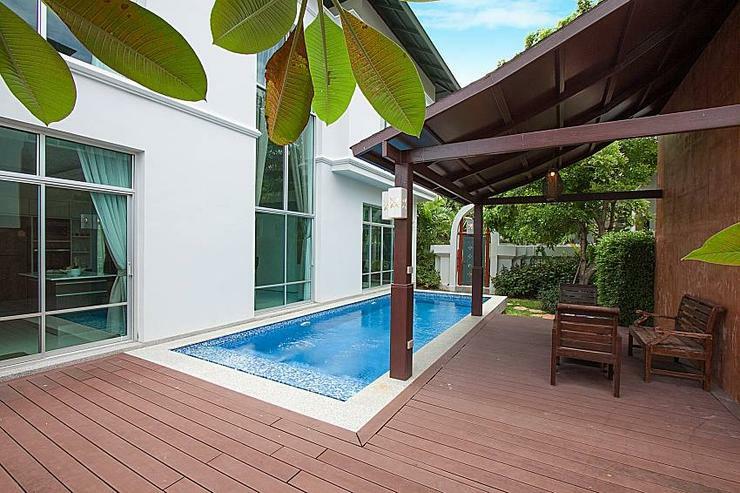 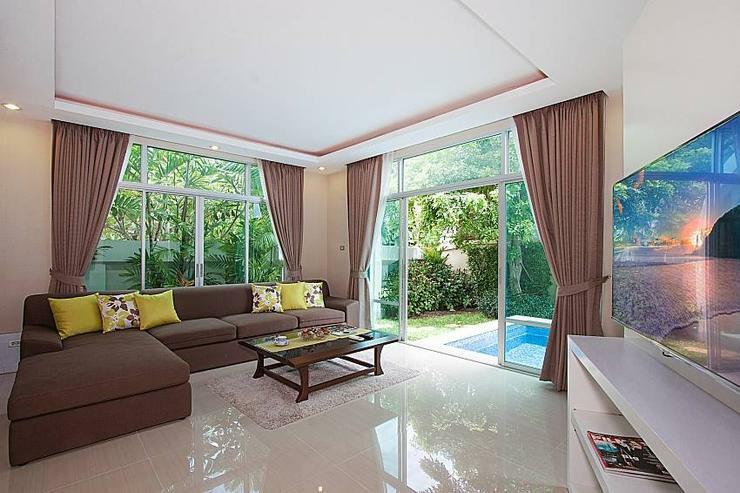 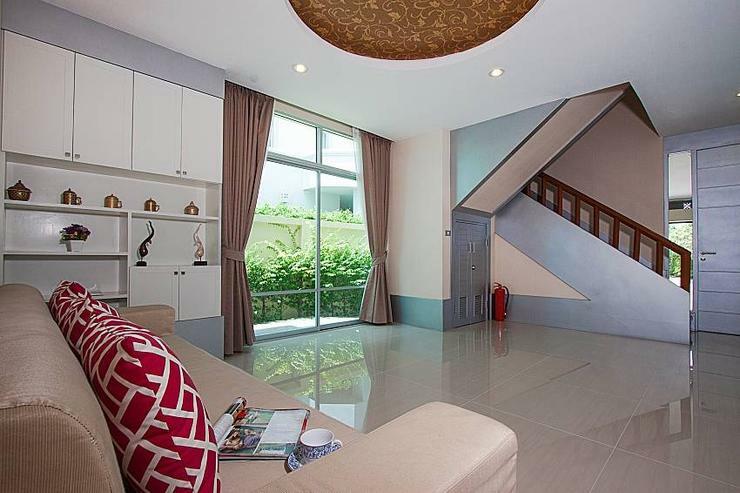 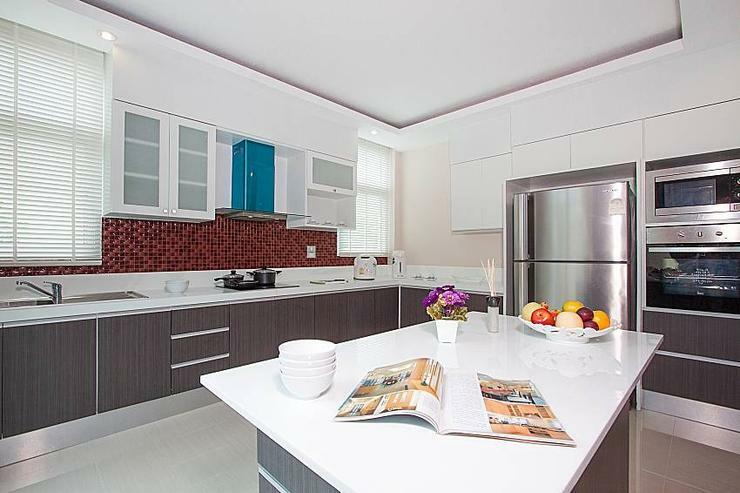 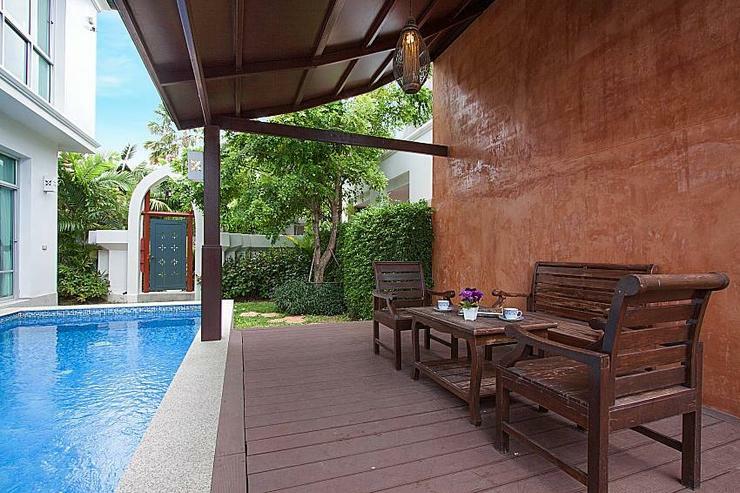 Villa Modernity A belongs to a prestigious and tranquil development in between Central and Northern Pattaya. 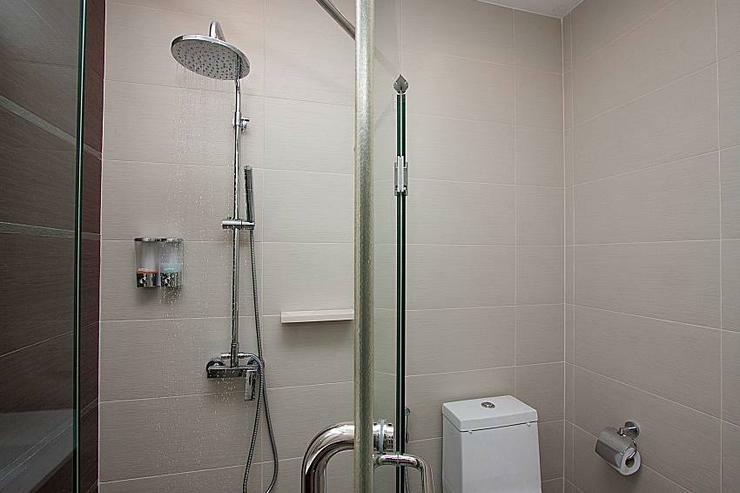 Reaching the city center will take minutes by car, although you can also walk there in under 30 minutes. 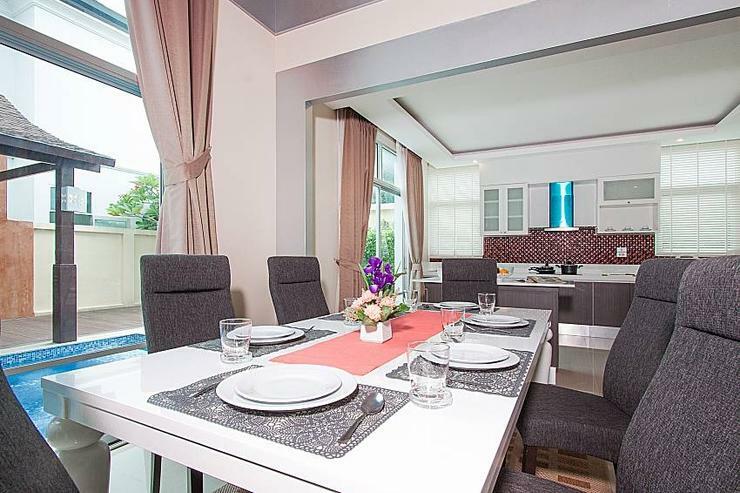 The villa is 250 meters away from the main road called Sukhumwit where you will find supermarkets, restaurants and a weekend night market. 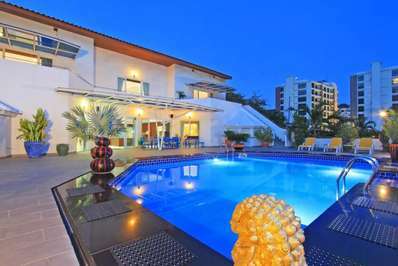 If you are a beach goer, action-packed Pattaya Beach with malls, shops, food stalls and a long beach is 3.5 km away. 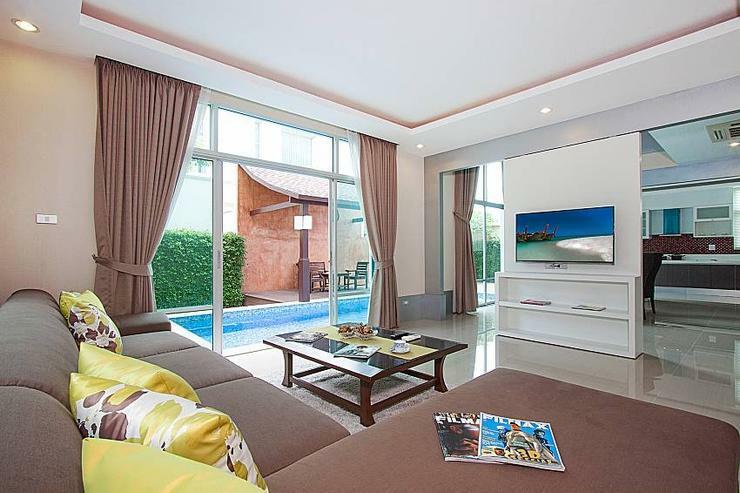 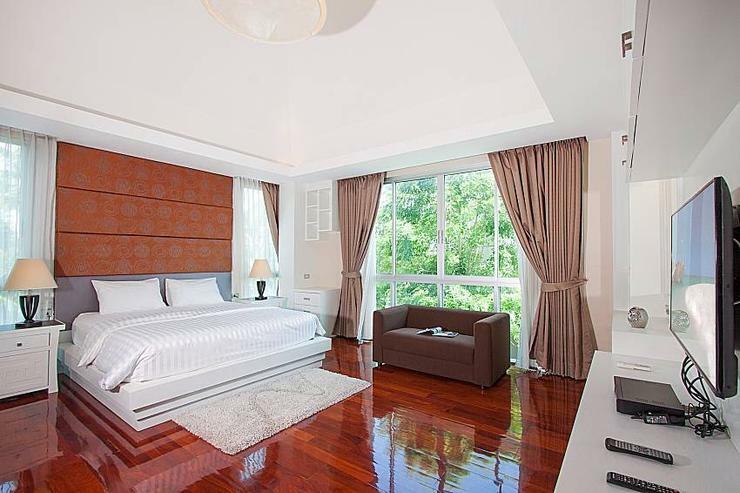 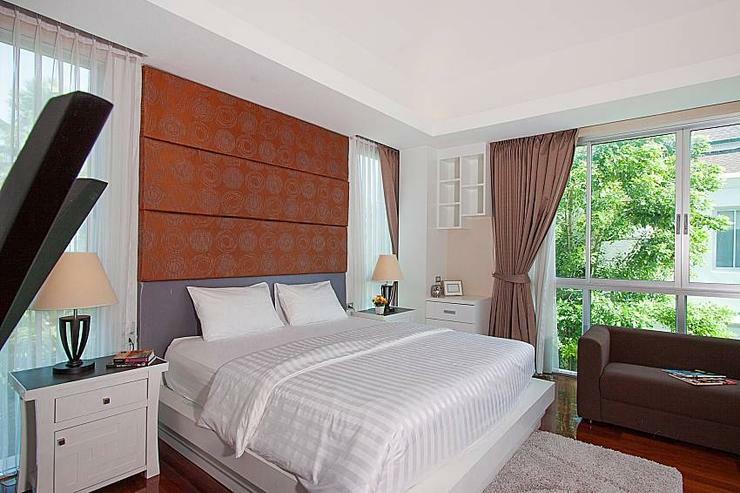 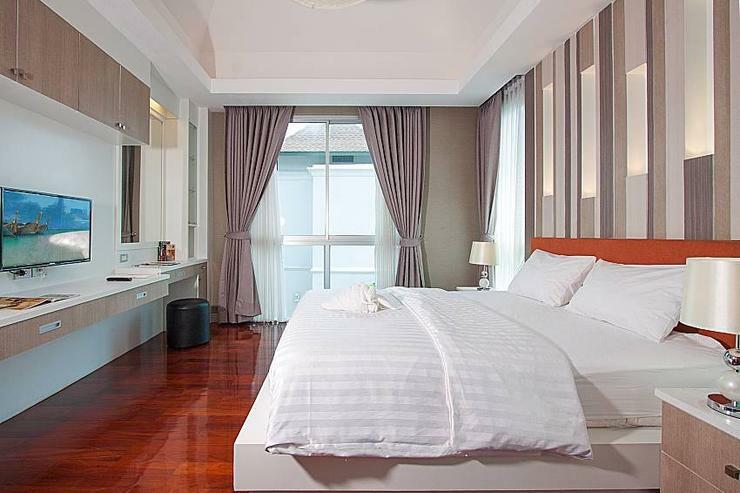 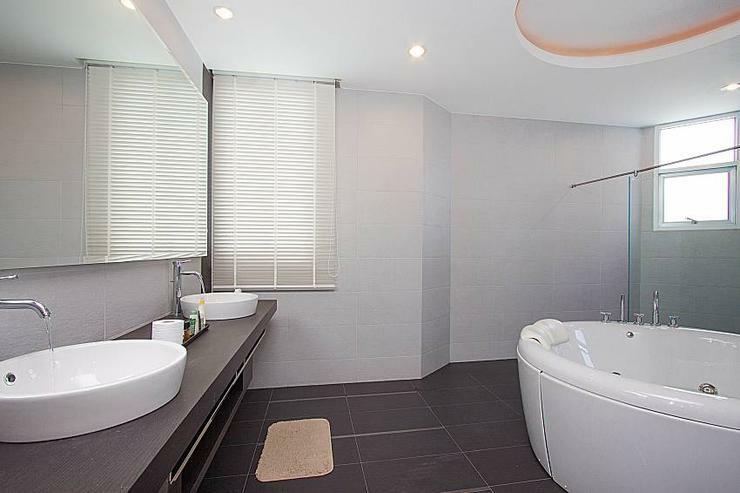 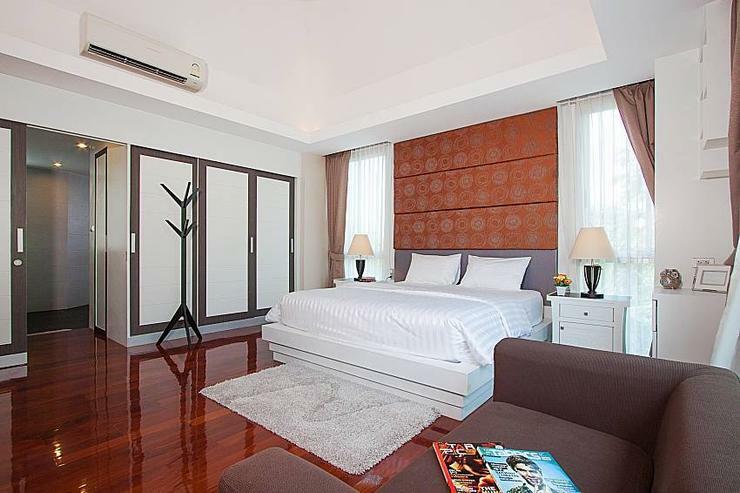 This very contemporary villa will provide you with a seamless stay in one of the most popular cities in Thailand. 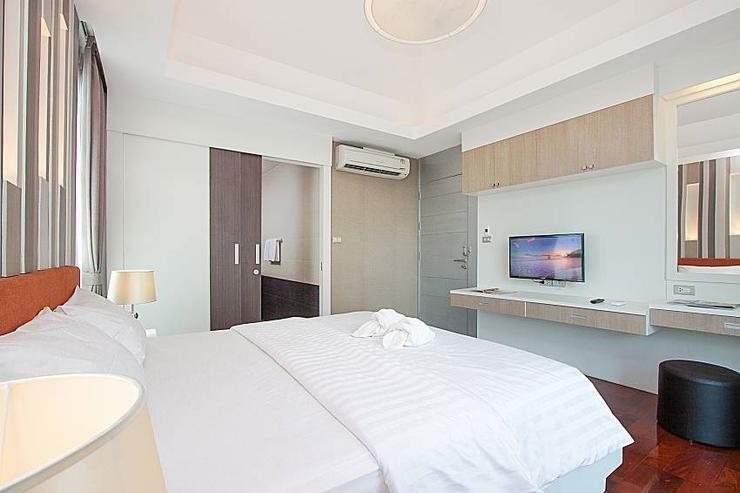 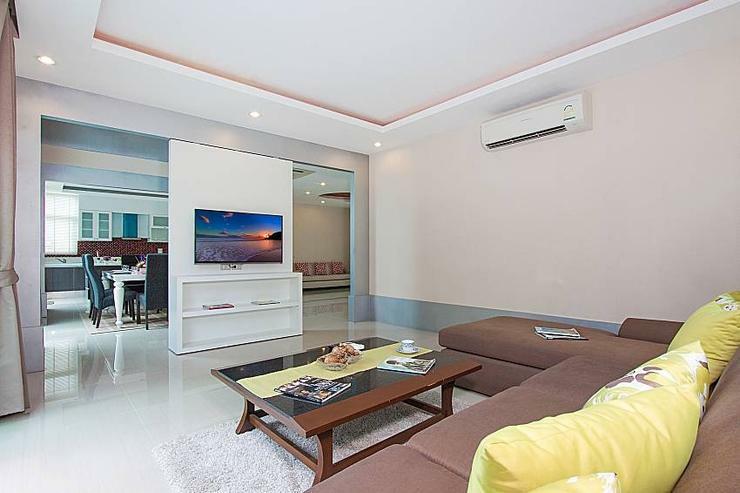 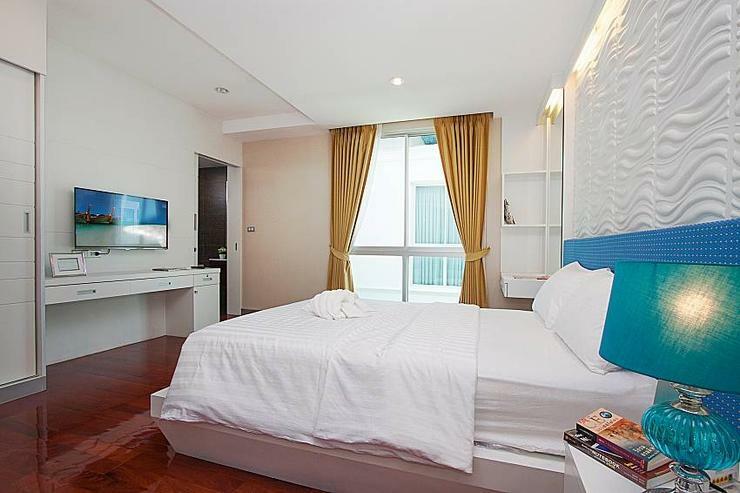 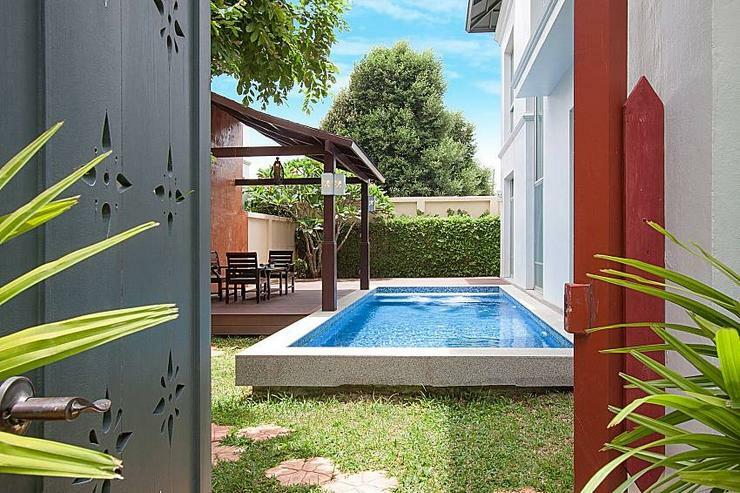 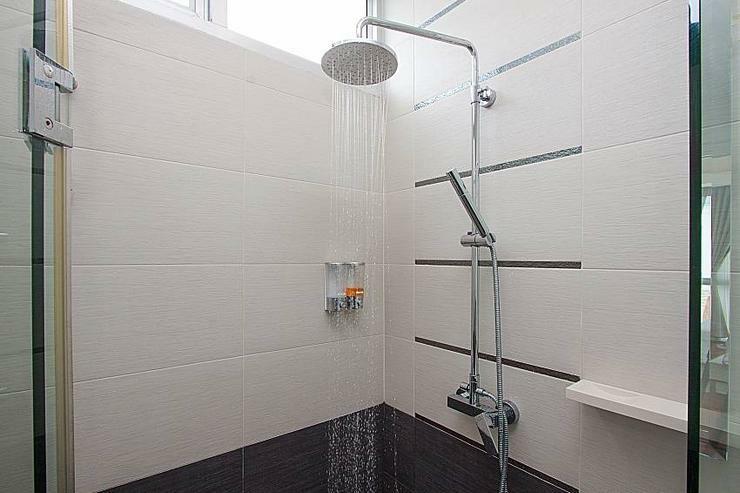 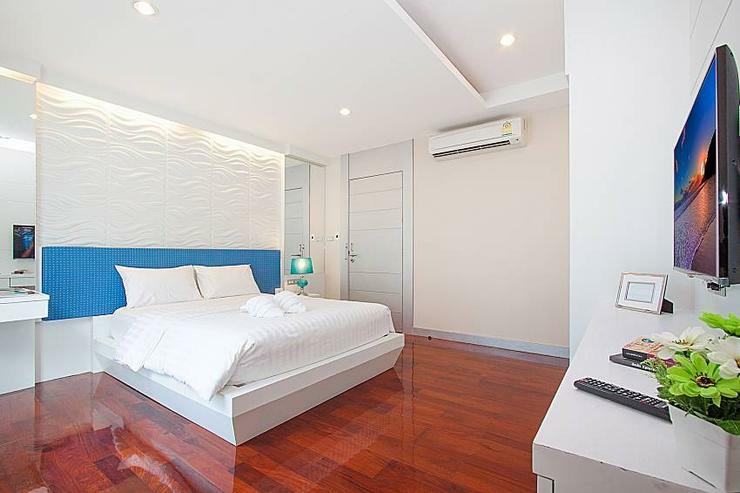 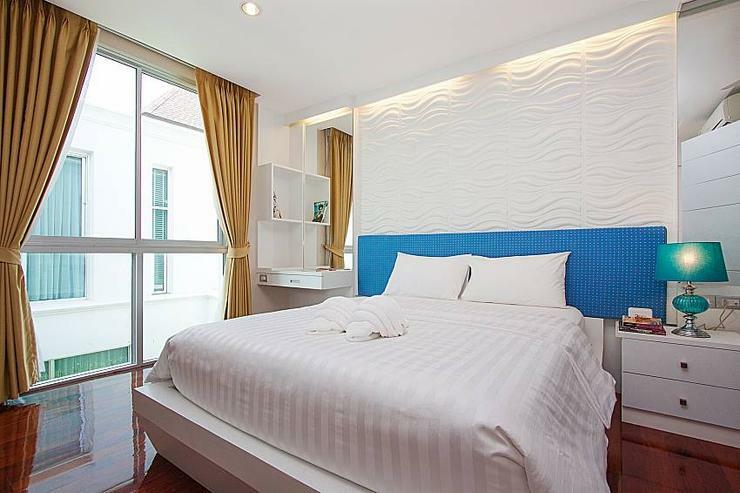 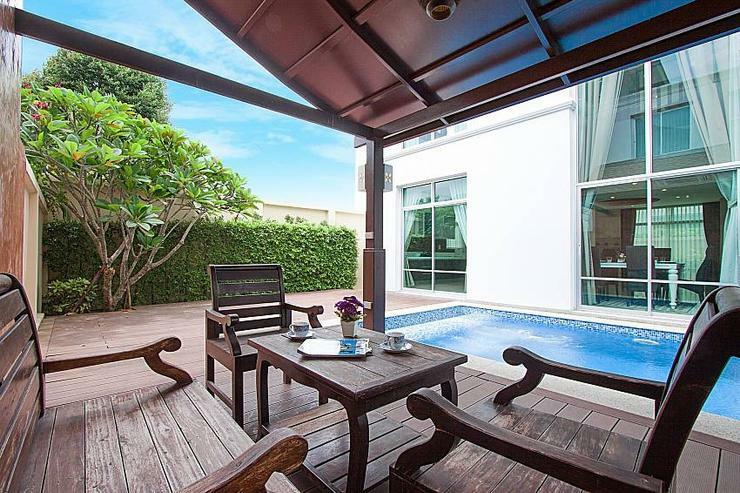 The private development it is in guarantees a peaceful time, while exploring vibrant areas of the city will be easy since the villa is only 250 meters away from the main Sukhumwit Road. 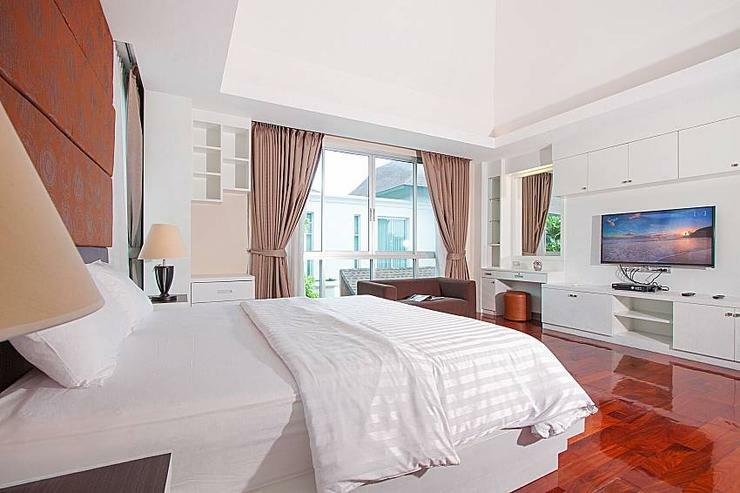 The villa's common areas are on the ground floor while the first floor is home to the bedrooms. 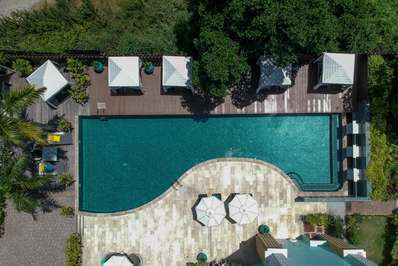 The garden and pool deck offer complete privacy and serenity; there is a wooden Sala and a BBQ for relaxed poolside afternoons. 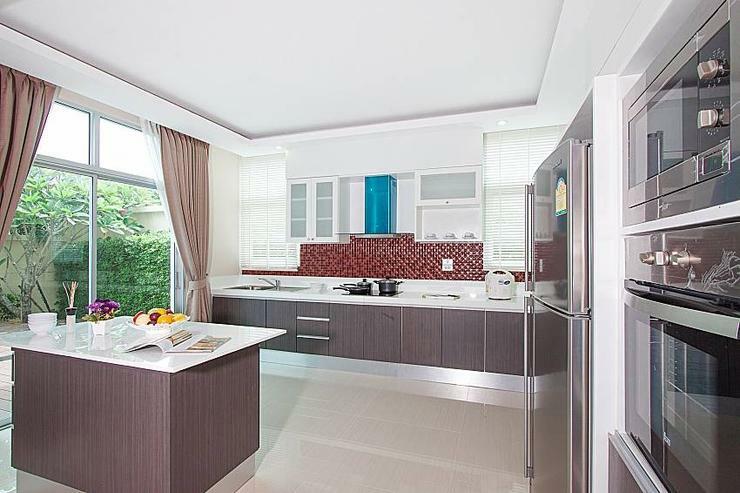 Inside there is an open plan living, kitchen and dining area that is both appealing and highly functional. 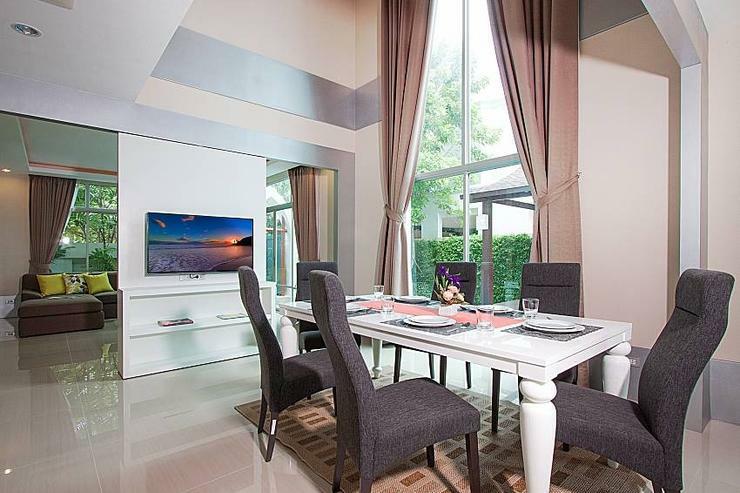 The kitchen is fully equipped, and a wall-mounted TV is on a rotating unit so you can enjoy it from both the living room couch and the dining table. 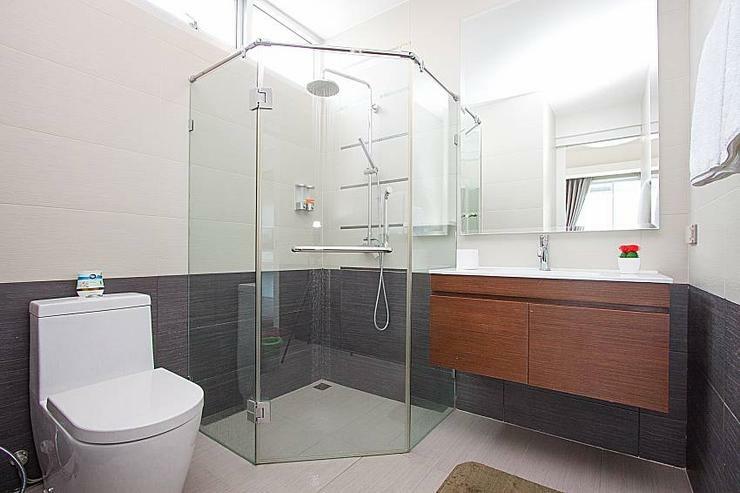 There is a guest bathroom with a shower on the ground level, plus a smaller lounge with another sofa. 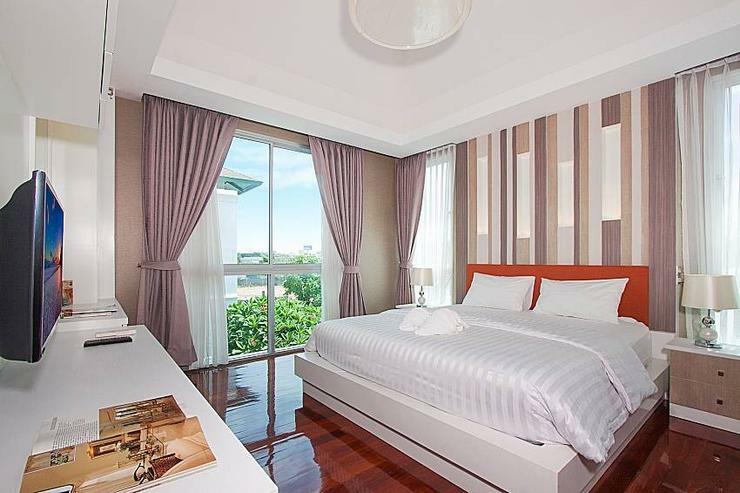 All bedrooms are beautifully appointed and feature top-quality furnishings and flat-screen TVs. 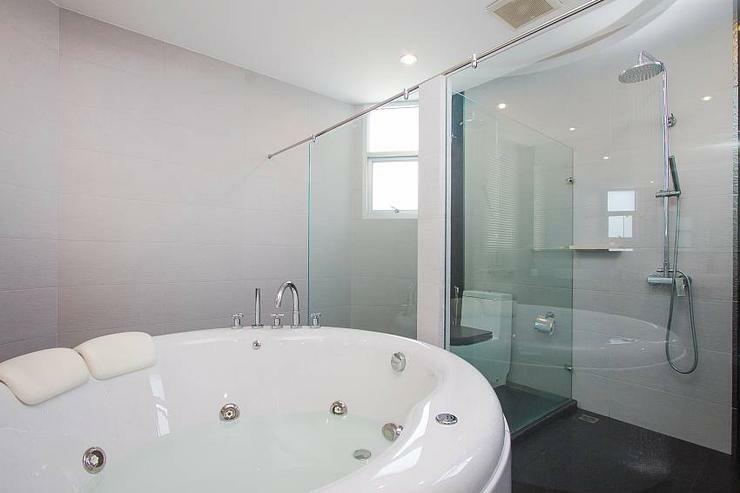 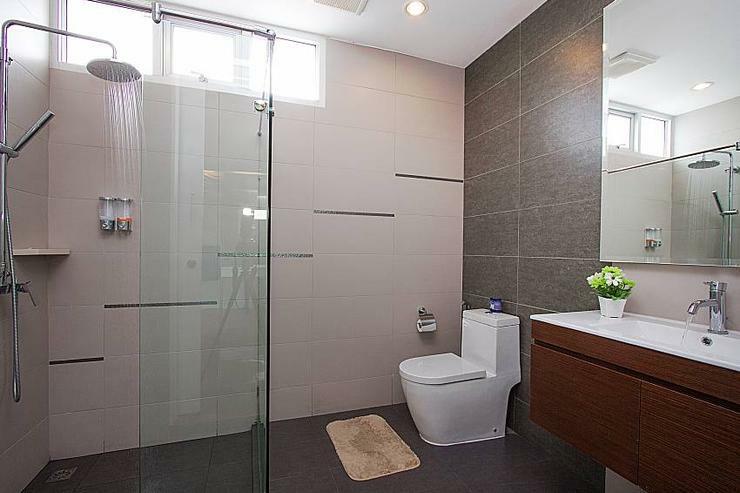 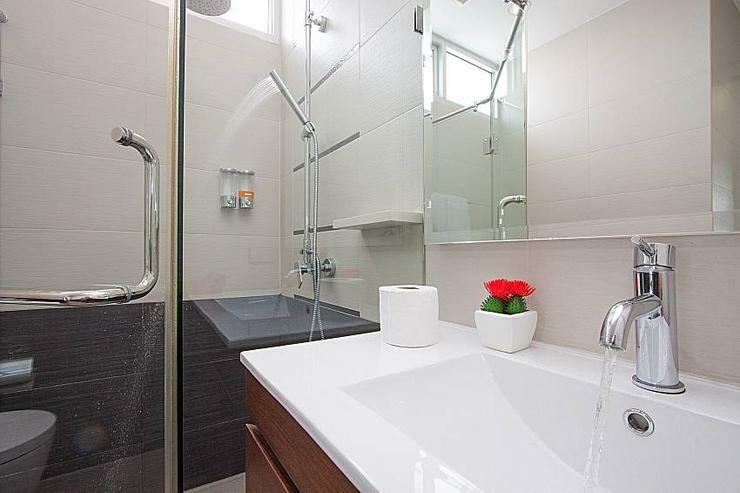 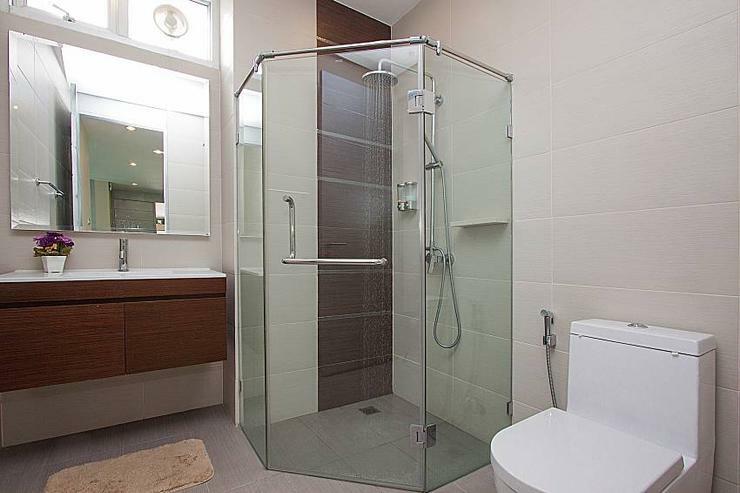 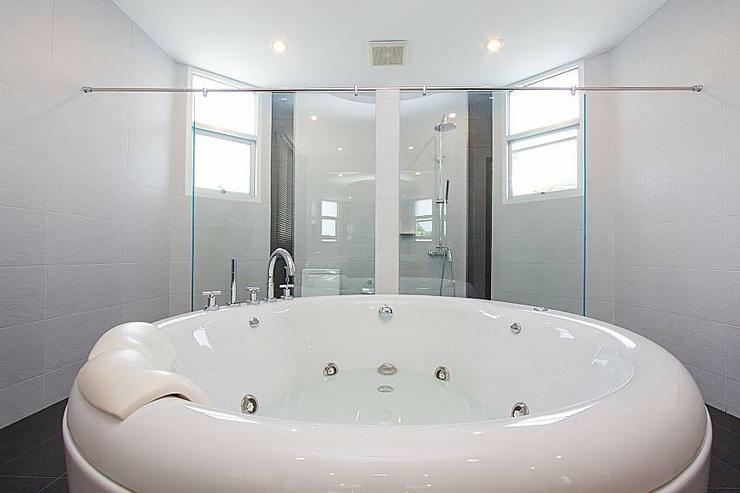 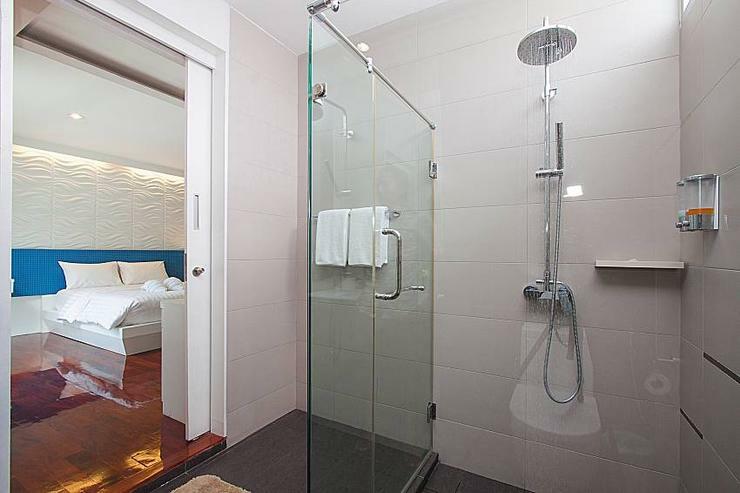 Each has an en suite bathroom with a shower, and the master bathroom also has a Jacuzzi bathtub. 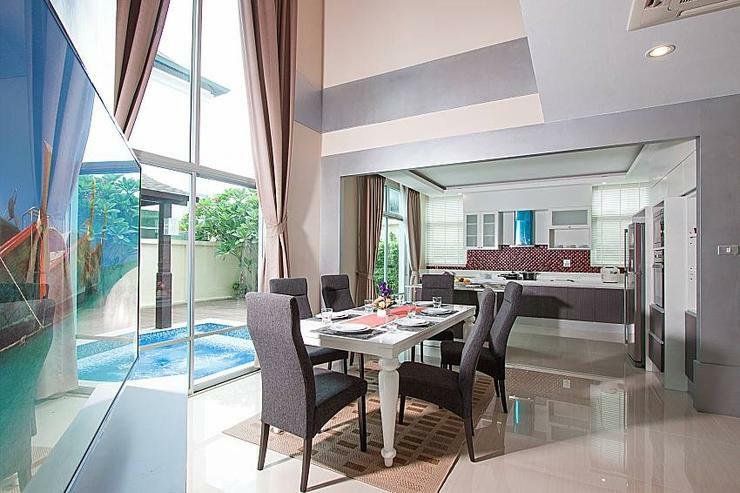 Additionally, Villa Modernity A features a private garage, safety box, and free Wi-Fi internet. 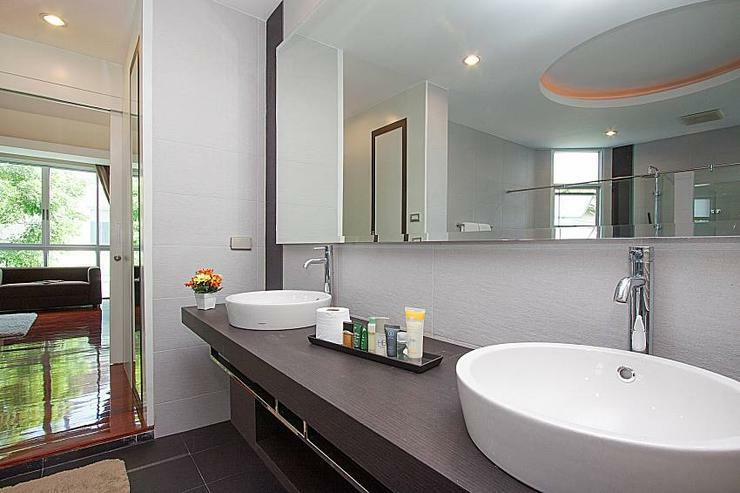 Daily cleaning is also included in the price. 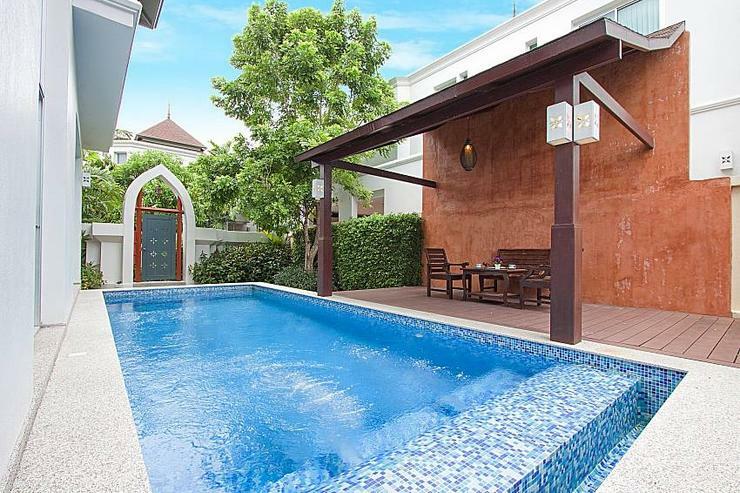 Pattaya Beach Road, a whole world in itself in which you'll find food, shopping, beach activities and the start of the infamous Walking Street, is just 3.5 km away from the villa.